Call me biased but I believe every child should be read to from an early age. It’s fun, it’s key to development, it’s educational and it’s also a great way to establish relationships. After today’s visiting speaker, I can’t highlight that enough. We were joined by Head of Reader Development at the Scottish Book Trust, Philippa Cochrane and I’ve never been so thankful for the support in Scotland for readers and writers. Their main aim is to change lives through reading and writing with an incredible number of programmes such as Bookbug, Read Write Count, What’s Your Story and Reading People. It is obvious that the Scottish Book Trust are working hard to achieve this but Philippa was quick to point out one frightening fact: children who are not read to from an early age have a language deficit of 50,000 words compared to a child who is. It’s not meant to frighten parents to read to their children or be controversial, it’s true. Every child should have the same opportunities and help in their early development but sadly it’s not always the case. I have my mother to blame (or love) for my book addiction. She pretty much had a bookshelf of baby books for me before I was born and for most of my life books have been an important part of our household. It’s one of the main reasons I’m so adamant that reading to a child is important: it helps to give a child the best start in life and helps develop skills necessary for educational and social purposes. It certainly helped me. 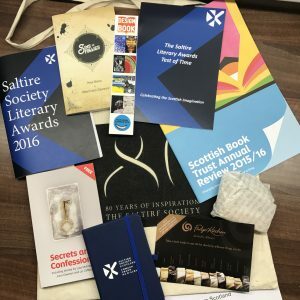 These types of programmes and opportunities were not available when I was growing up and it’s amazing to see the support for readers and writers in Scotland has grown so well but it also needs to continue to make sure that everyone has the same opportunity to grow and develop by reading. The Scottish Book Trust is responsible for a number of programmes such as Bookbug, First Ministers Reading Challenge, Read Write Count, What’s Your Story, Book Week Scotland, Annual Story Campaign, book tours, author tours, live sessions and interactions with authors/readers. It faces challenges, as do most arts based charities, but they do receive donations, sponsorship and funding from not only the Scottish Government but also individuals, companies, trusts and foundations. One of their most recognisable campaigns is Book Week Scotland which held over 1000 events across Scotland with a 150,000-book giveaway, a Scottish book-to-screen-adaption competition and even a book dare where a reader is given a book themed dare to complete (Philippa proudly displayed the tattoo she had done because of her dare but don’t worry they aren’t all like that!). 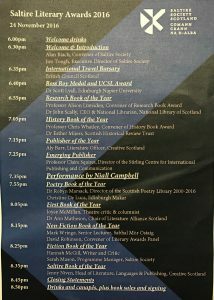 It’s a fantastic event and is gaining more popularity every year to the delight of the publishing industry. The Scottish Book Trust want to make sure that children are developing by reading, helping aspiring authors gain help and advice they need to achieve their dream, help people (not just children) who struggle with reading or loneliness by interacting with them and aiding them but not by shoving a handful of books at people or a leaflet offering advice – through several events, programmes and campaigns. For me, reading is important especially at a young age and hopefully these events and campaigns continue to help families across Scotland develop. Over the past few months, I have been fortunate enough to be a member of the Scottish Book Trust’s editorial board for their new online magazine, What’s Your Story?, which focuses on supporting and developing the creative writing talents of young people in Scotland. What’s Your Story? offers free support and advice to those under 18 who have an interest in creating content, be it poetry, short-stories, plays, or illustrations. The internship is undertaken remotely, and as one of six editorial board members, it entails reading over submissions, offering feedback on each, and choosing a select few to be included in the magazine. My role on the editorial board mostly involves reading young people’s work and offering critical, yet encouraging feedback. For each creative piece I receive, I am required to comment on two things the writer or artist did successfully, while also highlighting a ‘wish’ which refers to something the author or artist could alter to improve their work. It is my responsibility as an editor to express my feedback in a way that will not deter or upset the author or artist, but rather that will encourage them to persevere and keep creating. 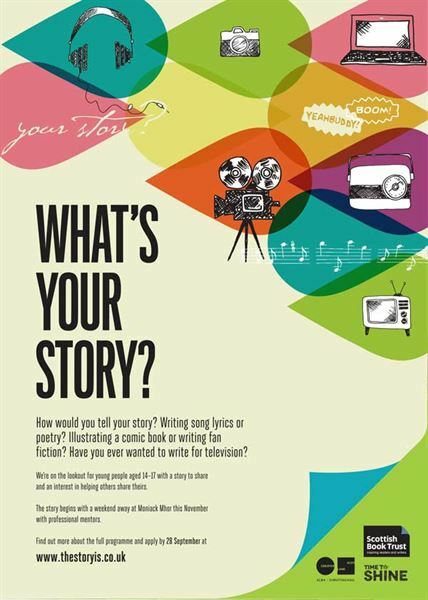 The Scottish Book Trust hopes that What’s Your Story? will inspire and encourage young writers and artists who may not receive support elsewhere, and it is definitely eye opening to read submissions from young people from all over Scotland. The training day for the role, which was held in Edinburgh on the 5th November, was particularly insightful and helped me understand the aim of the magazine and my role as one of the editorial board members. 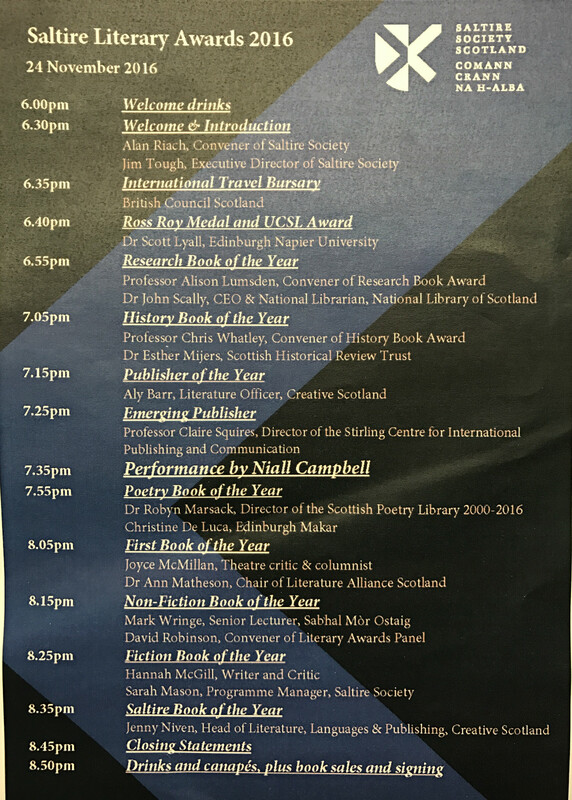 Organised by Nicole Brandon – Young Writers Co-Ordinator for Scottish Book Trust – we were guided through all that was required of us, and were given talks by YA author Keith Grey, as well as author and journalist, Kaite Welsh. While Keith Grey spoke of creativity outside educational boundaries, Kaite Welsh focused on how we might craft our feedback effectively when critiquing submissions. These talks were thought-provoking and definitely essential for us as new editorial members. Since the training day, I have worked on two magazine issues for the What’s Your Story? website, with each issue covering a different theme. While this is a remote internship, we do get paid for each issue we work on (yay!) and I have found the process engaging. Each submission has made me realise that creativity is boundless, with each piece offering refreshing and unique perspectives. I have also been able to read submissions with an editor’s eye and offer helpful, yet direct comments which will – hopefully – help the authors improve their work and encourage them to continue writing. Each submission I have read has exposed me to a variety of genres and subject-matter, and by delivering useful feedback and advice, I am helping guide young writers who are just beginning to realise their potential. What’s Your Story? 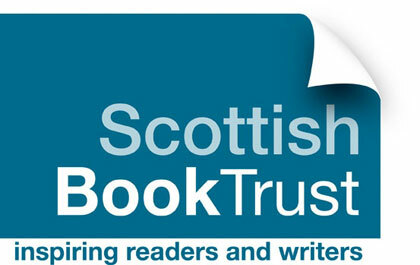 is a new magazine for the Scottish Book Trust and it has been exciting to be a part of the project from the beginning. It has allowed me to exercise my editorial skills – such as proof-reading, editing and critiquing – and this will aid me in my chosen career. It has also taught me not to have preconceived ideas regarding authorship and writing, and that, no matter how young an author or creator may be, they can offer a variety of different perspectives, experiences and styles of writing. I often find myself surprised by the submissions I read, which present ideas and life-experiences in comical, shocking and often eloquent ways, and being exposed to a variety of creative writing has definitely been the highlight of the internship. On the 13th of November, Lindsey Fraser of Fraser Ross Associates visited us here at Stirling to give a talk on the role of the literary agent. Lindsey began by reminiscing of a time when book publishing was simpler. Books had one price; that which was displayed on the book jacket, and books were limited to paperback and hardback formats. As the publishing industry adapted to reflect changes in the digital landscape, it became apparent that authors needed representatives who had their best interests at heart and would help them to manoeuvre the unfamiliar realm of publishing. 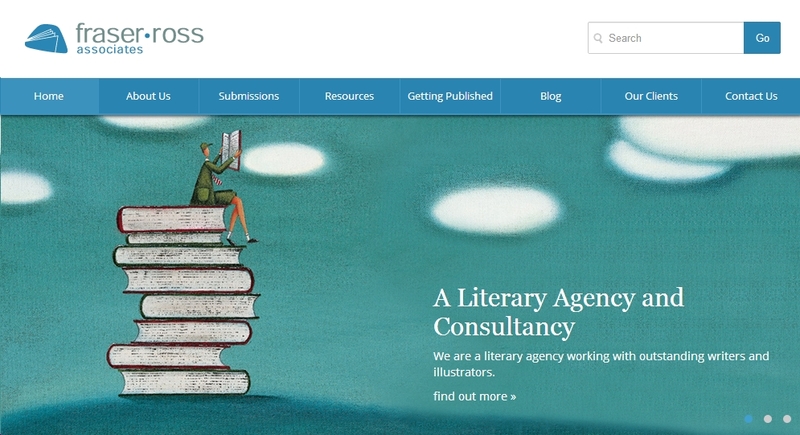 Having spent ten years working for the Scottish Book Trust, Lindsey and colleague Kathryn Ross had established that there was a need amongst Scottish authors for agent representation, and so they left the Scottish Book Trust in order to create Fraser Ross Associates. They are now part of the small literary agent community which forms The Association of Scottish Literary Agents. When speaking specifically about the role of the agent, Lindsey said that she considers literary agents to be responsible for finding the best possible homes for books. She also expressed that a major part of the role is giving your writers confidence, and that it is important to remember that agents are sometimes the only contact that writers have with the world of publishing. Trust is essential in this relationship. Lindsey went on to highlight that the agent is on the side of the author, and ultimately it is their aim to help the author make money from their writing. The agent also encourages the writer to respect publisher deadlines and teaches them how to deal with promotional events as well as showing them how to make the most of opportunities that are presented to them. Talking more about the encouragement that should be offered to authors, Lindsey noted that they are particularly vulnerable after having their first book published and are beginning to consider the next. It is important to help them through this period of insecurity. She commented that authors have a tendency to look at what was not right with their book and need to be reminded of what was good. 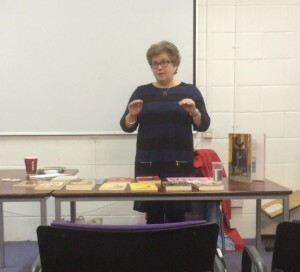 She also said that sometimes after having a book published, authors would like to have a period of rest, but there is an important issue here regarding the children’s book industry. Children grow up quickly, and their interest in certain books changes. If you are publishing a children’s series, you need to ensure that the books are published before your readership outgrows them. Sometimes it is necessary for an author to produce a number of books in quick succession, especially if their books are doing well. Nearing the end of the talk, we were informed of The Scottish Book Trust’s live literature scheme which provides funding for author visiting sessions at schools in Scotland. They pay half of the author’s fee as well as traveling expenses which allows more schools to benefit from visiting sessions while authors also get to promote their books and interact with their readers on a more personal level. Lindsey’s talk offered wonderful insight into the role of an agent in the publishing industry. She shared with us her refreshingly honest thoughts and opinions regarding some issues within the industry, and I particularly liked her comparison of the Bologna Children’s Book Fair to speed dating which highlighted once more the importance of networking in this industry.